Is it time for Re-decking or Deck Replacement? The average wood deck typically lasts 10-15 years with regular maintenance. The key phrase here is “with regular maintenance.” Unfortunately, many homeowners neglect their decks until it is too late. This is just one of the reasons the International Association of Certified Home Inspectors estimates that only about 40% of all decks are completely safe. Is your deck safe? Is it time for re-decking? Is it time to consider trading in that old wood deck for a new low maintenance deck? Do I Need a New Deck? Loose, weak, or broken railings. The ledger board has become undone. Of course, the only way to know for sure if it is time for a new deck is to have it inspected by a professional, like Freedom Fence and Home. Re-decking is like a facelift for your deck. We use the existing frame and replace only the old deck boards. Your deck will look re-done without the expensive price. In fact, re-decking saves homeowners as much as 20% over the cost of a deck replacement. Unfortunately, not every deck is a candidate. Freedom Fence will carefully inspect your deck and provide you with our recommendations, which can range from simple maintenance and repairs to total deck replacement. And deck replacement is exactly what it sounds like. We tear away the old deck and replace it with a brand new deck, either wood or composite. With 40 years in the home improvement industry, Freedom Fence and Home has earned a reputation for high quality work and even higher quality customer service at an affordable rate. Our highly trained crews have successfully completed hundreds of re-decking and deck replacements projects throughout Maryland. 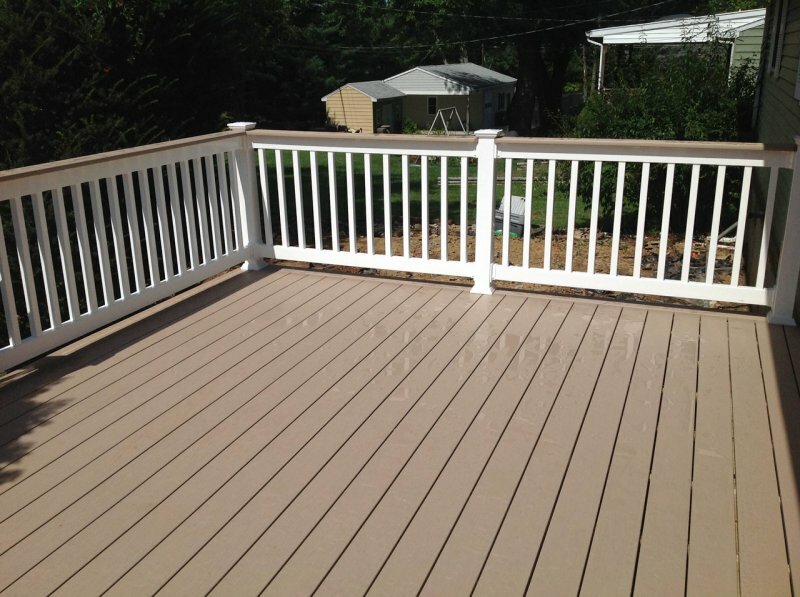 If you have any questions about Re-Decking or Deck Replacement, please contact Freedom Fence and Home by calling 443-271-6841 or visit our website. You can also follow us on Facebook and Twitter! This entry was posted on Tuesday, February 24th, 2015	at 1:27 pm	. Both comments and pings are currently closed.